A gentle, effective cleansing lotion removes dirt and debris accumulated on the skin. Used to tone, soften, leaving your skin fresh, clean, glowing and delicately fragranced. Nourishing Shea butter leaves the skin soft and silky-smooth without blocking pores, rich with antibacterial and anti inflammatory properties. Naturally astringent Castor oil pulls impurities from the skin to cleanse. Precious Damask Rose floral water works to keep skin radiant. Regenerating and detoxifying Patchouli. 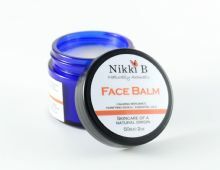 Soothing Ylang Ylang to balance the skin’s natural oils. Refreshing Bergamot uplifts the skin. Rose Floral Water, Castor Oil, Apricot Kernel Oil, Glycerine, Shea Butter, Cocoa Butter, Vitamin E, Bergamot Essential oil, Patchouli Essential oil, Ylang Ylang Essential oil. Rosa damascena (rose) floral water, Ricinus communis (castor) seed oil, Prunus armeniaca (apricot) kernel oil, Sodium stearoyl lactylate (emulsifier), Glyceryl stearate (emulsifier), Glycerine (vegetable glycerine), Butyrospermum parkii (shea) butter, Cetearyl alcohol (cetyl alcohol), Theobroma cacao (cocoa) seed butter, Tocopherol acetate (vitamin E), Phenoxyethanol, ethylhexlglycerin (preservative), Citrus bergamia (bergamot) fruit oil*, Pogostemon cablin (patchouli) flower extract*, Cananga odorata (ylang ylang) flower oil*, Citral*, Limonene*, Linalool*, Benzyl alcohol*, Eugenol*, Geraniol*, Isoeugenol*, Benzyl benzoate*, Farnesol*. *naturally occurring in essential oils. 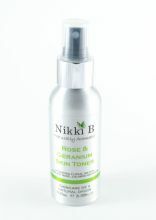 "A fabulous product - so light and gentle on the skin. Wonderful aroma. I will be switching from Liz Earle to this one!" "This is a great cleanser. You need just a small amount and yet it cleans really thoroughly! Smells amazing too. Having tried many other brands this is the only one I would use. Great product and would definitely recommend this product." "I've been using this cleanser along with the toner for about a year now and I wouldn't use anything else. It's like having a spa facial at home! You only need the tiniest amount, it smells beautiful and leaves my skin feeling soft and clean. I used to get a lot of breakouts before I started using this, but they are few and far between now. I would really recommend this cleanser and the toner."